At AV Connections, Inc. of North Carolina, our audio visual rentals warehouse is stocked with an expansive inventory of the most cutting-edge audio visual rental equipment. We understand that every presentation, conference, meeting, wedding, or event is unique and may require additional audio visual services and support. At AV Connections, Inc., we have access to what you need, when you need it. We travel widely to service audio visual clients both large and small across our home state of North Carolina as well as throughout the United States and Caribbean. 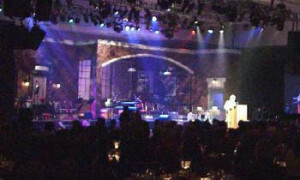 We are the finest, most competitive, and flexible audio visual rental supplier in the United States. 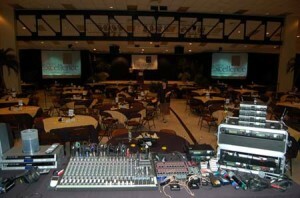 Look to us for all of your conference, meeting, wedding, and party audio visual rental needs. At AV Connections, Inc. great sound is a must. For our technicians, sound is an art and they strive to ensure it is a pleasurable audible experience for everyone involved. To be a successful audio company, you need the proper high quality gear and technicians who are passionate about what they do. Fortunately, we have been providing both for 30 years and will continue to do so for every show, conference, meeting, wedding, or concert that comes our way in North Carolina and throughout the United States nationally and the meeting and conference venues of the Caribbean. 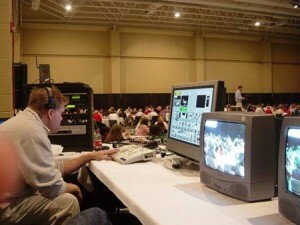 With the latest, cutting edge video technology and a knowledgeable staff, AV Connections, Inc. can help you create the visual impact you desire to make your event outstanding. From multi-screen, HD format projection, to live video production switching and recording, we’ve got you covered. With AV Connections, Inc.on your side, you can rest assured that your message will be seen. We happily service large and small clients and jobs of every size with video technical excellence in North Carolina and throughout the United States nationally and the meeting and conference venues of the Caribbean. With the access to an inventory full of a wide variety of lighting fixtures, dimmers, and controls, AV Connections, Inc. will add that final touch to your event that makes it memorable and exciting. From a simple stage wash, to a full stage production with intelligent moving fixtures, an intricate truss structure, and computerized programming, AV Connections, Inc. can handle all of your lighting needs in North Carolina and throughout the United States nationally and the meeting and conference venues of the Caribbean.